The crew posted a time of eight Minutes and 26 seconds to beat his closest challenger Jaspreet Chatthe (8.33) by seven seconds in second Position followed by Dilraj Chatthe in third position with eight minutes.49 seconds. 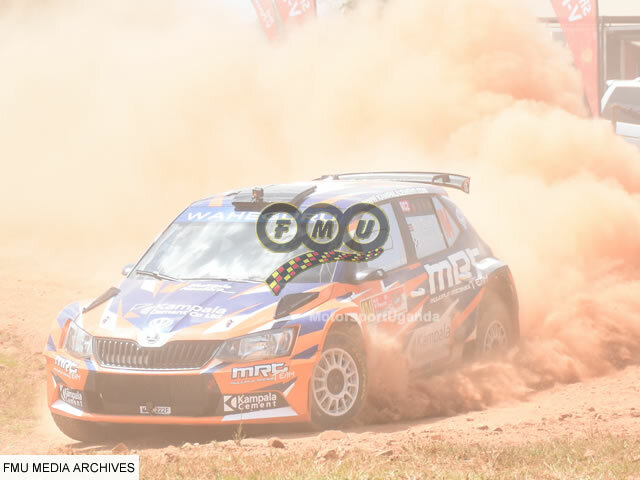 Uganda Omar Mayanja in a Mitsubishi Evo10 came fourth while Burundi’s Valery Bukera was fifth and them Ronald Ssebuguzi and Christakis Fitidis followed in the sixth and seventh positions respectively. Zambia’s Leroy Gomes came eighth while Hima Cement Ambassador Ambrose Byona popularly known as Omunyeeto was ninth posting a time nine minutes and four micro seconds followed by Hasan Alwi and Arthur Blick in the tenth position and eleventh respectively. Action continues tomorrow in Kayunga on day two with 10 sections for the drivers to show case.